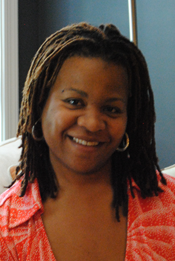 Dr. Joette James is a licensed psychologist and clinical neuropsychologist. She completed her doctoral degree in clinical psychology at Northwestern University in Chicago, Illinois, her internship at Harvard Medical School/Boston Children's Hospital in Boston, Massachusetts, and a two-year postdoctoral fellowship in pediatric neuropsychology at Children's National Medical Center in Washington, DC. Dr. James is currently an Assistant Professor in the Departments of Pediatrics and Psychiatry and Behavioral Sciences at George Washington University. Clinically, her area of specialization is in the diagnosis and neuropsychological assessment of children and adolescents with Autism Spectrum Disorders. Dr. James has obtained research reliability on both the Autism Diagnostic Observations Schedule (ADOS) and the Autism Diagnostic Interview- Revised (ADI-R). Her research interests include executive-functioning in individuals with high-functioning Autism and Asperger's Syndrome and the development of psychosocial interventions for this population. Dr. James also has extensive experience in the neuropsychological evaluationof children, adolescents, and adults with specific learning disorders, attention deficit/hyperactivity disorder, executive functioning problems, and neurological disorders such as brain tumors, traumatic brain injury and epilepsy. Dr. James currently serves as the chief inpatient and outpatient neuropsychologist at HSC Pediatric Center, a sub-acute rehabilitation facility in Washington, DC that is affiliated with Children's National Medical Center. In addition, Dr. James maintains a private practice in forensic neuropsychological consultation, and has testified as an expert on a variety of cases, including death penalty litigation, competency to stand trial and juvenile waiver/transfer.